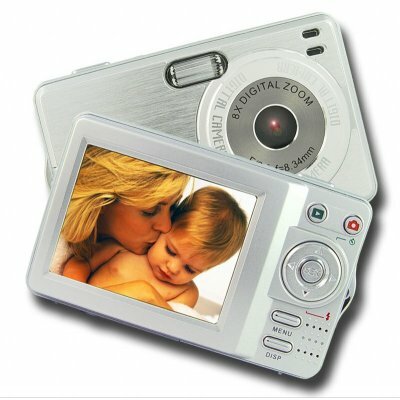 Successfully Added Digital Camera, 12M Pixel, 2.5-inch Screen, 16MB Int.Mem, SD/MMC to your Shopping Cart. A video and voice recording, multiple language support Digital Camera. Having a trendy, a smooth looking exterior, and a large TFT color LCD display screen to view with, and an included rechargeable Lithium-Ion battery, this great wholesale priced Digital Camera is always a popular choice. Note on Interpolation: Please note that this camera takes images in sizes equivalent to 12.0 megapixels. This is through a software resizing process on the camera called interpolation. The image sensor of this camera has a native resolution of 5.0 megapixels.